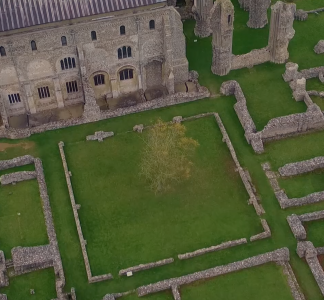 Binham Priory is some of the most complete and impressive monastic ruins (of a Benedictine priory), in Norfolk, with a well-documented history. The nave, with its splendid 13th Century West front and great bricked-up window, is now the parish church, displaying a screen with medieval saints over-painted with Protestant texts. The site of Binham Priory lies to the north of the village of Binham surrounded by a low precinct wall. The gatehouse and entrance is to the west. 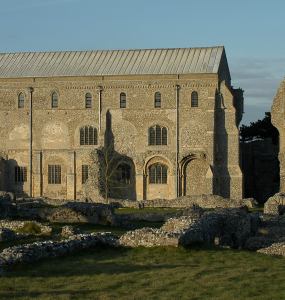 The priory was founded in the late eleventh century as a dependent house of the Benedictine Abbey of St Albans. 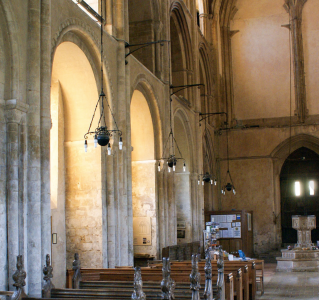 There is a Guided Tour of Binham Priory and its monastic precincts every Sunday and Tuesday afternoon starting at 3pm. These tours last for about an hour and run throughout the summer months from May to September. Booking ahead is not necessary.